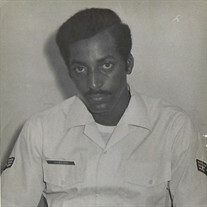 Mr. William Hawkins, III, 73, the husband of Mrs. Regina Hawkins passed away peacefully at his residence, on January 27th, 2019. Please join us in comforting the Hawkins Family by uplifting them with your prayers. The family of Mr. William Hawkins III created this Life Tributes page to make it easy to share your memories.